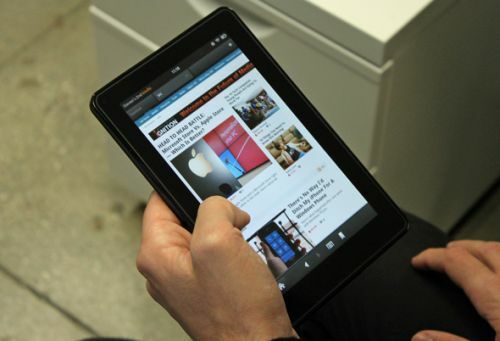 The Kindle Fire entered the fast-flooding and highly competitive tablet space last year like a breath of fresh air, and has settled down admirably in its own niche, holding out extremely well against the likes of the Ipad 2, the much touted Motorola Xoom, the Samsung Galaxy Tab/s & the Asus Transformer, despite running Gingerbread, which was considered a step behind at the time. With its $199 price, and the features it offered, it was always a great device for those who wanted a tablet only for the things that a tablet could do really well, and the Kindle Fire has proved that it was a worthy choice. Apart from the price, one of the notable features that has gathered interest around this nifty device, is the in-built web browser that it comes with, called Silk. Silk has a different approach towards loading web pages, basically meaning that pages that you regularly visit tend to load faster, by accessing information from Amazon’s massive cloud-based servers, effectively providing a more fluid experience to the user. After a lot of testing and research, XDA member TyHi has finally managed to create a working port of Silk, which can be used on other Android devices; phones or tablets likewise. You can download the pack from here. You can follow the development thread here, and read comments by people who have tried this out. For most people, it seems to work fine. I, for sure, am going to try this out first thing tomorrow. Use Root Explorer to copy the lib files to /system/lib set permissions the same as the others. Install all of the .apks like you would side load. Edit: You might not have to install account and sync settings. You can pick. So if you are bored of using the Stock Browser or Opera on your Android phone or tablet, and want to try Silk, give it a shot, and let us know about your experience in comments below.